We are pleased to finally offer a complete master kit for the Gen 1 GS. 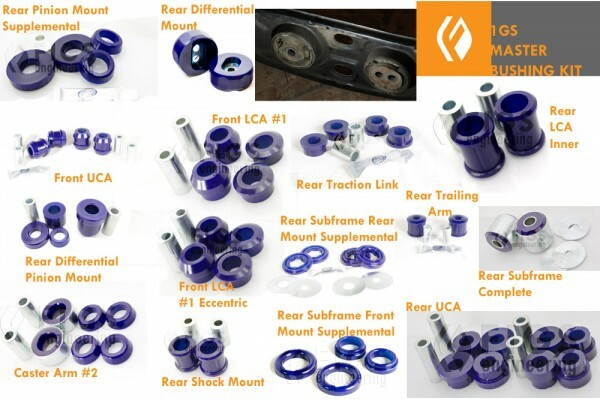 Every bushing you need for the Gen 1 GS in one place for easy ordering! 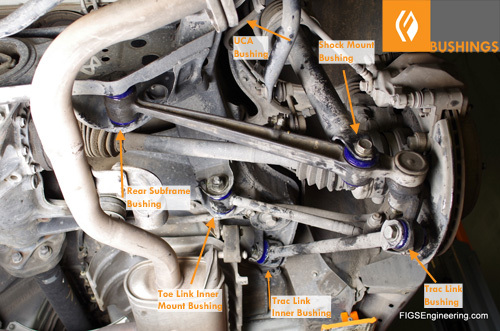 Click here (Part 1) or here (Part 2) to visit our blog and see how to install some of these bushings. Please note that due to inventory and options we make need to order in several bushings to fill your complete master kit. We will notify you of any shortages and ship them as soon as we can.